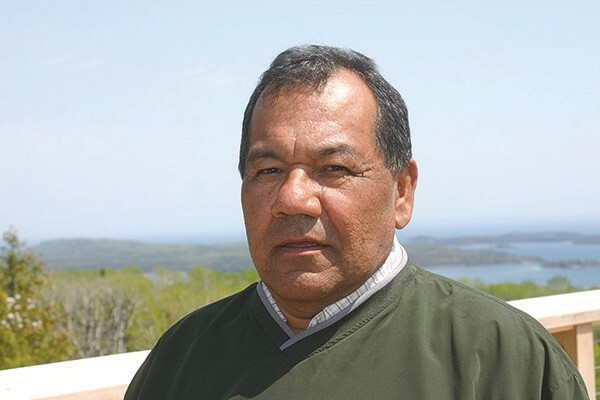 Norman Deschampe, also fondly known as Babeboy, was born and raised on the Grand Portage Reservation. Norman loved his home and was a dedicated husband, father, grandfather, and leader. After attending Bemidji State University and the University of Minnesota-Duluth, Norman returned to Grand Portage. He was elected to the Grand Portage Tribal Council when he was 23 and continued in Tribal Leadership for the rest of his life serving as Tribal Chairman for a majority of his career. In total, he served on the Grand Portage Tribal Council for 45 years, 27 years of those years as Tribal Chairman. He also served as the President of the Minnesota Chippewa Tribe. He served on numerous boards, including many years on the board of the Mash-ka-wisen Treatment Center. Norman was a devoted family man. He had an immense knowledge of the outdoors and was extremely generous in passing along his knowledge. He loved to take his grandchildren fishing. He took great pride in teaching his children and grandchildren how to hunt, fish, trap, and anything else that could be done outdoors. He loved to share stories of Grand Portage and his family. Rarely would you talk to Norman without hearing a joke or a story that would to make you laugh. He was a leader, mentor, and friend to many. He will be greatly missed. Norman was preceded in death by his parents Norman Sr. and Irene (Hendrickson), and two infant brothers. He is survived by his wife Debbie, four daughters Carrie (Rodney) Wilson, Anna, Tina, and Sarah Deschampe (Erik Redix), Grandchildren Emilee, Owen, Jaden, Biidaash, Paxton, Grayson, and Aanakwad. Siblings Mary Ann Gagnon, Larry “Fish” Deschampe (Janis), Rosie (Rick) Novitsky, Allen (Diane) Deschampe, Sally Deschampe, and Marlene Deschampe; many nieces and nephews and all those who shared in his life. A Celebration of his life will be held at 11:00 am on Wednesday, February 13, 2019 at the Grand Portage Community Center. Burial will be in Sunset Cemetery.